Why choose Better Rentals for your Cherry Picker Hire? All our Cherry Picker Hire has weight sensors so you can’t overload. Easy to tow Cherry Picker. Tow vehicle to be rated to 1.5 tonne. Right here online with no added extras. Hiring a cherry picker gives easy access for painting eves, tree removal, getting cats out of trees – or just to get really high to look at the view. Safety is our Priority – and it should be yours. * Power Lines – our cherry pickers aren’t insulated and MUST NOT be used within 6.4m of street power lines. (Spotters can be used for distances from 3m to 6.4m). Further distances required for electrical towers. * Soft Ground – proper set up requires “firm and stable” ground. If a leg sinks into muddy or soft ground, at best the machine will stop working, at worst it’ll tip over. When you get to site, before you start the job, make a cup of tea, sit down and read the How To Guide… Reading instructions while relaxing after the job is finished is OK for your new toaster. It’s not safe for a cherry picker. And if you can’t work out why something’s not working – the most common issues are covered in the “How To Guide”. And if that doesn’t work, give us a call – even after hours – and we’ll help. 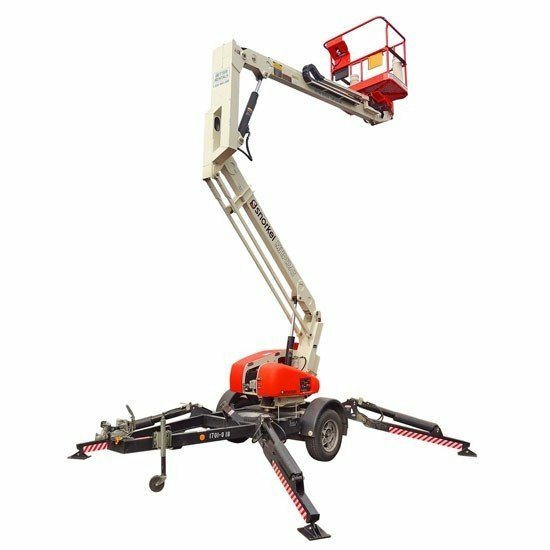 Cherry Picker Rental from Better Rentals? All New Fleet Our entire fleet are new Snorkel MPH13AT cherry pickers – which means you get the latest technology and safety features. 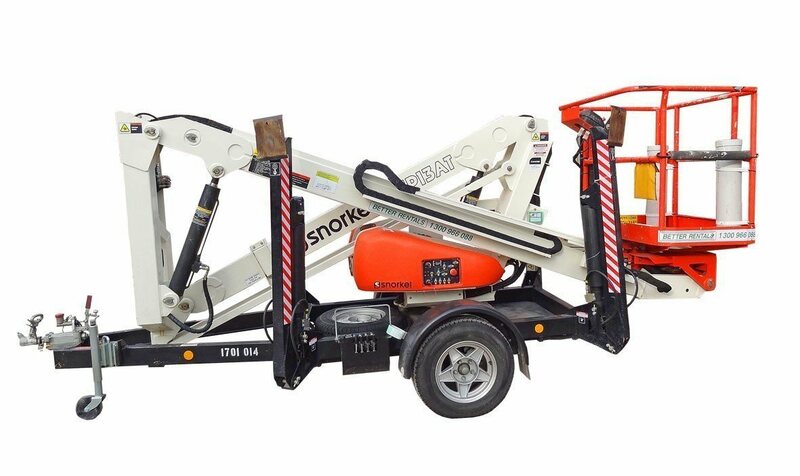 Quiet, Modern and Safe electric powered cherry picker (with petrol back up) is easy to use and safe. We check every cherry picker before every hire for both safe operation – and to make sure they do what they’re designed. Our Hire Price is all inclusive What we quote is what we charge with no hidden extras. 24 hour/7 day service : We’re dealing with machines and from time to time you may have a problem with your cherry picker hire. Just call the branch you hired from and someone will help. Easy to follow instructions : We give you a run down of how to use the cherry picker – but if you’re anything like us, by the time you get to the job you’ve forgotten how to use it. So we chose an easy to use cherry picker – and made it simpler by providing an easy to follow instruction sheet. We’ve plenty of Cherry Pickers for hire. 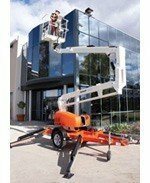 How much to hire a Cherry Picker? Our cherry picker hire cost is fair for both you and us.